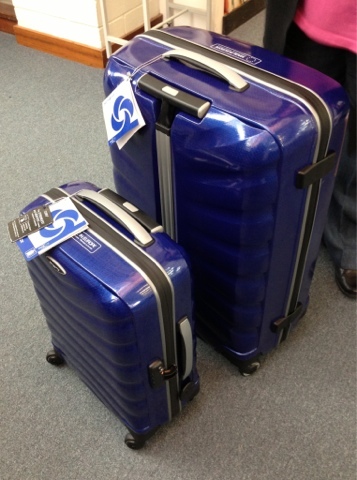 As luck would have it, I entered a competition for some new luggage. It was an RACWA competition in conjunction with Samsonite Australia. I needed new luggage as my current bags gave been damaged/worn out over the years and badly need replacing. This was a twitter competition promoting their #racantarctica and I WON! So excited. They have the spinner wheels and everything. Congrats. You have every right to be excited and they look great! Hey hey congratulations! I'm in the market for some "proper" luggage too, apparently it's time to move on from backpacks...I like that blue.